Native to the eastern and central US, the herb is an aromatic perennial, growing to three feet, producing downy lance-shaped leaves and double-lipped, red-spotted yellow flowers, growing in whorls from the leaf axils. It flourishes in dry, sandy soil. There are now about 252 genera and 6700 species worldwide. 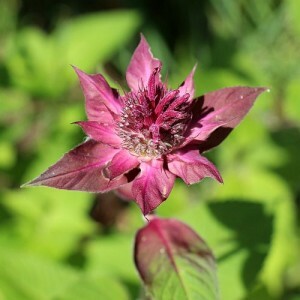 The genus name, Monarda, was given in honour of Nicolas Monardes, a Spanish physician from Seville, whose herbal of 1569 detailed the medicinal uses of a number of “New World” plants. Horsemint was traditionally taken by Native Americans for nausea and vomiting and to encourage perspiration during colds. It was also applied externally as a poultice for swelling and rheumatic pain. In 19th century America, “oswego tea” was considered a tonic for young mothers and traditionally given to brides. The scent of M. didyma is similar to that of the bergamot orange, and hence one nickname. The Lakota drank a tea made from the flower clusters as a remedy for fevers and colds. A tea from the leaves was used for whooping cough and other coughs. It was also considered good for those who fainted. For eye pain, the Lakotas wrapped boiled leaves in a soft cloth and placed it on the eyes for overnight. The Winnebago did the same for acne and skin eruptions. Chewed leaves were placed on wounds to stop blood flow. 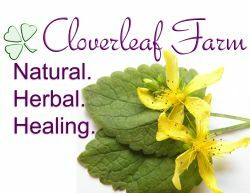 Many other North American tribes (Blackfoot, Chippewa, Crow, Flathead, Lakota, Meskwaki, Navajo, Ojibwa, Teton Sioux) have used oswego tea to treat coughs and colds, fever, and abdominal pains, including those caused by flatulence. The Menominee used the leaves and flowers to make a tea to treat catarrh. Kiowas soothed insect bites and stings by applying a mixture of crumpled bee balm leaves, spotted bee balm (M. pectinata), and saliva (Today, it is probably best to use filtered water!). Its strong volatile oil results in a good remedy for such digestive problems as nausea, indigestion, flatulence, and colic. Taken internally or applied externally, it helps reduce mucus and fevers by promoting sweating during upper respiratory problems. It also has an antiseptic action within the chest. Applied externally, the plant is a counterirritant useful for skin rashes. It helps to lessen the pain of arthritis and rheumatic joints by increasing the flow of blood in the affected area, thereby, hastening the flushing of toxins.